Pizzah is how Turks pronouns the word pizza. The stress on the /zz/ with distinct ZZZ in the middle of the word is so strong, you may not recognize the name of your beloved food at first. If you mention that that's not how the rest of the world calls the meal, locals will give you a surprised look. 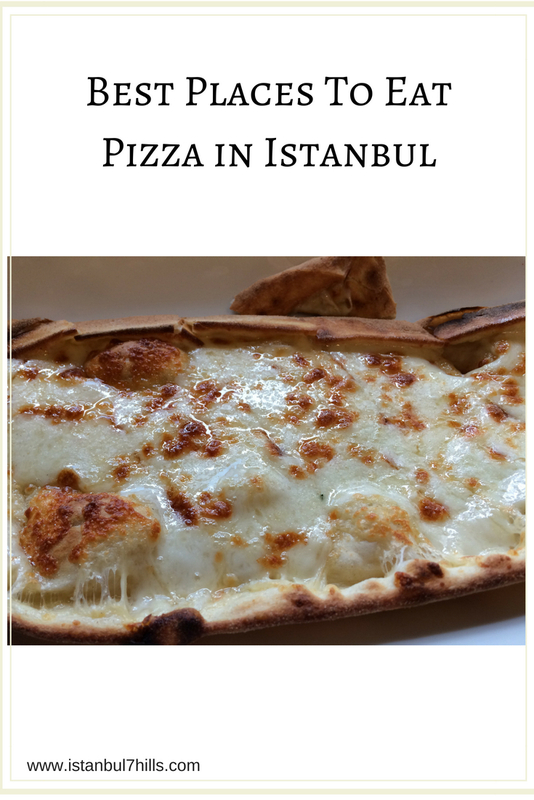 If you insist on a pizza the way you know it when traveling around Istanbul and refuse to eat its Turkish substitute - pide and lahmacun instead, here is a list of places with best pizzah in Istanbul tasted personally. Istanbul has the known brands like Pizza Hut, Domino's, Little Ceasars and Papa John's but the taste is not what you are used to even though it's a chain. Click on an icon on the map for an exact address. Afiyet olsun! My all time favorite is Olivia's pizza. Their slogan is "All great pizza is local" and although your pizza will have only the local ingredients, that New York taste is sure present. Olivia's have three branches: one in Levent (European side), one in Kadikoy, and one in Atasehir (both on the Asian side of Istanbul). Do treat yourself to their desserts - their specially made absolutely delicious New York style cheesecake and brownie. Olivia's delivers and they speak English. Numbers are WhatsApp friendly. Click on the above map to see Olivia's exact locations throughout the city. 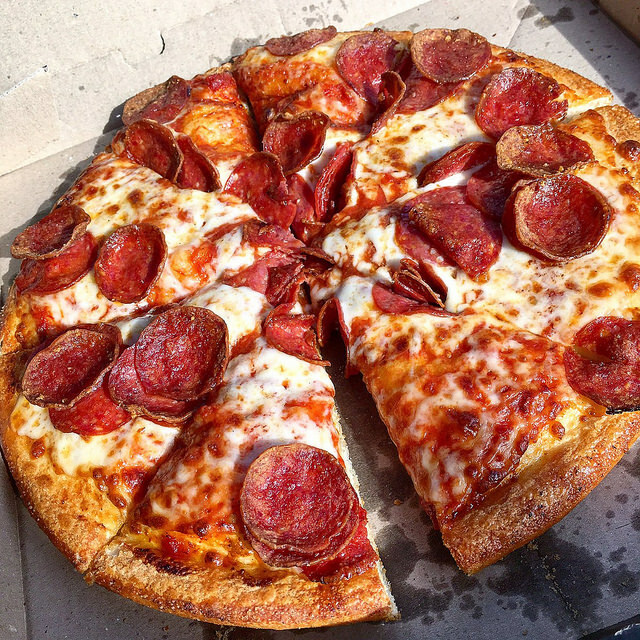 "Good pizza has to be cooked perfectly at precisely the right temperature. It has to be surrounded by air. The crust should be light. You will taste the woodfire just on the edges. It will come out spotted like leopard. Once you put it in your mouth, it should just melt." Bafetto pizza claims the Best Pizza in Town! status. Pizza lovers adore the firewood crust and quality ingredients on Bafetto's pizza. All three branches are conveniently located on the Asian side's Caddebostan, Atasehir and Kadikoy neighborhoods. Check the above map to see the exact locations and addresses. Order your Bafetto pizza through yemeksepeti. Beppe Pizzeria in Moda, Kadikoy is famous for its cozy atmosphere and exceptional service. Their pizzah comes both with traditional ingredients and those that would make you surprised. Try Beppe pizza with strawberry or pineapple. Bring your party for a traditional Italian taste of mozzarella and marinara sauce. How to order. Prices. Tips. Most pizza locations we share here, do have delivery services. Call the numbers we specify for each of the pizza places and order your food. Better yet stop by and eat your food at the venue. Staff speaks enough English to take your order. Tipping your delivery guy is a common practice. Pizzah (as the Turks say it) costs from 22 Turkish Liras per a pie and gradually goes up to 50 Turkish Liras depending on the ingredients you wish to see on your slice. Be prepared to give up dried tomatoes, provolone cheese and even cheddar. These are a rare find on pizzas in Istanbul. As a rule pizza places open late in the morning 11:00 am -12:00 noon and provide service until at least midnight. Pizza dough is available at any market in Istanbul small or large. You can make your own pizza for under 10 Turkish Liras at home. You are welcome to pay with your choice of cash or credit card. Some locations ask about form of payment during delivery orders to make sure the curier comes with portable credit card reader/swiper. Metre Pizza boasts 19 varieties of Italian style pizzas and additional seven choices for Turkish style pizzah! This location offers a wide selection of wines and other alcoholic beverages. Locals love the conveniently located place along the Caddebostan avenue in Istanbul's Kadikoy neighborhood (Asian side). Staff and atmosphere are pleasant and friendly. There is a specially designated outdoor area for smokers. Call +90 216 350 3160 for delivery. Pizza Bulls is a large chain with locations present all over Istanbul. Follow "P" icons on the map for a location convenient for you. Pizza Bulls in Istanbul are very popular due to the known name and the familiar taste. Mediterranean is the most ordered pie on the menu. Call 444 32 44, choose your location and bon appetite! Pizza Moda in Kadikoy serves perfectly baked pies with thin crusts and toppings ranging from four cheeses to artichokes and fish. Visitors come here for the tasty food and a friendly cozy atmosphere. Click on the map for exact location. Call +90 216 418 0418 to order. Miss Pizza is another great venue for a great taste in Istanbul. From the usual list of Italian pizza names dare to try a slice with honey and pine nuts! Very unusually tasty! Miss Pizza is currently present in two locations, both on the European side of Istanbul, the Cihangir and Sishane neighborhoods. Destino promises a thin dough and generously layered ingredients on its pies. Returning customers come for the folded pizzah. Other popular foods at this locations are burgers, spaghetti and fresh salads. 49 Cukurcuma is located in the heart of Beyoglu in a neighborhood called Cukurcuma (hence the name of the restaurant). This is a busy place with tasty pizzah as Turks know it plus breakfast and lunch menu. The food, the atmosphere and the service are excellent. Must spend some time at the venue to enjoy the time to the fullest. Capua serves amazing pizza (La Mafia is among the most popular) and out of the three locations available all are in more of residential neighborhoods of Istanbul - Bakirkoy, Bahcesehir, Beylikduzu, Sirinevler. The venue is more of a grab and go layout. eel free to call for delivery. Consider these great places for pizza in Istanbul. Let us know if you need help with the addresses and phone numbers. All serve best of the best meals in town. Variations may include localized flavors like pies with Turkish sausage called sucuk and Turks' all favorite artichoke. Most serve at least ice cream for dessert or Turkish sweets baklava. Enjoy your pizzah! Afiyet olsun!